Apple has a feature called Groups on the Contacts app. However, the feature only allows you to view existing contact groups on your iPhone. You cannot add a contact group on iPhone using your phone alone. Luckily, you can still create a contact group on iPhone by using your iCloud account and a computer. The steps in this tutorial will show you how to add a contact group to your iPhone or iPad. It may seem counterintuitive for Apple to remove the capability to add a contact group on iPhone, but for Apple, this is not a bad move. Adding a contact group forces users to utilize the functions of iCloud, including the backing up and syncing of contacts and contact groups. 1.You must have your iCloud account logged in to your iPhone. If you do not have an iCloud account yet, you can check this tutorial on how to create a free iCloud email address. 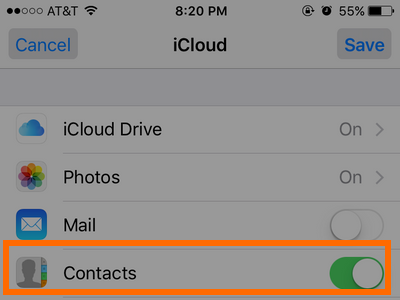 2.Sync contacts from your iCloud account and your phone. You can do this by going to Home > Settings > Mail, Contacts, Calendars > iCloud. 3.If iCloud is not on the Mail, Contacts, Calendars page, tap on the Add Account option and input your iCloud account and password. 4.On your computer’s browser, go to www.icloud.com and log in with your iCloud account. It is advisable that you use your computer’s browser instead of iPhone’s Safari app. 6.From Contacts, tap on the Add (+) button located on the lower-left panel. 8.Choose a name for your contact group. 9.Click on All Contacts to view all of iCloud’s and iPhone’s contacts. 10.Add a contact to the Group by dragging the contact name to the target group. Do this step until all the contacts that you want to group together are dragged into the group. 11.Click on the Contact Group button to view the name on the contact group on iPhone. Your iPhone will now show the newly created group on Contact’s Group option (Home > Phone > Contacts > Groups). You are done. The steps outlined above should help you easily create a contact group on iPhone. If you have questions with any of the steps above, leave us a comment in the section below so that we can get back to you.